“Julian Paul Hawkins was born on 3 July 1971 in Townsville, Queensland, to Christine Ann Hawkins (b. 1951), a visual artist, and John Shipton, an anti-war activist and builder. The couple separated before their son was born. When Julian Hawkins was a year old, his mother married Richard Brett Assange, an actor, with whom she ran a small theatre company and whom Assange regards as his father (choosing Assange as his surname).The surname Assange is a Westernization of the Chinese name Au Sang, from a Taiwanese man who married a Torres Strait Islander woman on Thursday Island. His mother had a house in Nelly Bay on Magnetic Island, where they lived from time to time until it was destroyed by fire. “Anne Hamilton-Byrne acquired fourteen infants and young children between about 1968 and 1975. Some were the natural children of members of The Family; others had been obtained through irregular adoptions arranged by lawyers, doctors, and social workers within the group who could bypass the normal processes. The children’s identities were changed using false birth certificates or deed poll, all being given the surname “Hamilton-Byrne” and dressed alike even to the extent of their hair being dyed uniformly blonde. The children were kept in seclusion and home-schooled at Kai Lama, a rural property usually referred to as “Uptop”, at Taylor Bay on Lake Eildon near the town of Eildon, Victoria. They were told that Anne Hamilton-Byrne was their biological mother, and knew the other adults in the group as “aunties” and “uncles”. They were denied almost all access to the outside world, and subjected to a discipline that included frequent, severe beatings – often for little or no reason – and starvation diets. All of the above suggests that the cult and its hospital were part of a deep state / intelligence experiment, and their activities were covered up accordingly. While there’s no solid evidence for Assange having lived with the cult, it should be noted that his mother’s partner was a member, and that some of the photographs of the children of the cult show a young boy that looks very much like him. His official biography has him and his mother constantly moving, with his having attended 37 different schools; this would of course serve as a convenient cover story if the truth were in fact different. And as already pointed out, when he was convicted for hacking, he was given a very lenient sentence, in part due to his ‘disrupted childhood’. Very curious in this regard is the fact that Hamilton-Byrne dyed the chlidren’s hair peroxide blonde, a practice which Assange has seemingly continued himself, as it appears that his natural hair colour is actually brown, as can be seen in numerous photos. This article [link] goes into the likelihood of Assange’s having lived with the group; however the point to underline is this: Assange’s mother’s partner was a member of the cult – a cult which was coercively adopting and drugging children, and was treated extremely leniently when this was discovered. Therefore, even if Assange didn’t live with the group, he would have been under the influence of someone who presumably knew about and approved of these practices, which means that it’s entirely possible that he himself was exposed to them. “During the late 1960s and the 1970s, Newhaven Hospital in Kew was a private psychiatric hospital owned and managed by Marion Villimek, a Santiniketan member; many of its staff and attending psychiatrists were also members. “Newhaven Hospital’s reputation was further damaged by the activities of Anne Hamilton-Byrne who worked there as a psychiatric nurse during the sixties and seventies. She, with several members of staff, recruited vulnerable patients for her sect, The Family. In 1975 the production and administration of LSD-for medical and other purposes-was banned, but as recently as 1991 the Newhaven Hospital Victims Action Group (NHV AG) continued to pressure the Victorian Government, writing to every MP, calling for a Royal Commission into the Newhaven Hospital. Maureen Lyster, then Health Minister, replied that the use of hallucinogenic drugs at the time in question was strictly monitored and that there was insufficient evidence in the letter from NHVAG to require further action by the Health Department. If the above hasn’t set alarm bells off for you, then presumably you’re unfamiliar with the efforts to use LSD in the creation of Manchurian Candidates through MK-Ultra and related programmes. When someone who purports to be undermining the activities of the intelligence services has intelligence fingerprints all over their biography, and to boot has precisely the qualities you’d expect in someone who’d been experimented upon in this way, then surely it would serve to be extremely wary of them, especially when the media has portrayed them in the ‘dissident hero’ role. The touchstone for all of this might be to ask whether Wikileaks’ activity has seriously damaged the Money Power. Assange may very well be a victim of this monstrous system that weaponises human beings, and for this reason everything that we’ve been told about him should be considered suspect. With intelligence, all is theatre – their job is get you to buy their narratives. Caveat emptor. And here are a couple of recommendations for presentations on MK-Ultra and LSD. Previous ﻿Dr Gail Marie Bradbrook: Compassionate Revolutionary… for hire? I find this article somewhat bizarre. The MSM coverage of Assange since he was dragged out of the embassy has been wall-to-wall negative. The ‘dissident hero’ he certainly ain’t anymore in their eyes. Of course it’s right to explore how he got to where he is but the more pertinent question right now, it seems to me, is why he is locked up in a high security prison. Would have been nice for you to at least address his predicament and how it relates to what you perceive as his compromised origins and possible ties with intel agencies etc. Currently reading you XR articles, very interesting so far, thank you. “Wikileaks and Assange is the fulfillment of what Sunstein said he wanted, he said that something needs to be done for the ”cognitive disruption” of conspiracy theorists by posing as the anti-establishment media. Assange is saying that he is ”irritated and fed up” by people who talk about 9/11 conspiracies that he says ”have no basis.” Assange was used as distraction before such as when in Iceland many activists were pushing for a ”debt moratorium” and Wikileaks attempted to distract them to forget about those issues. If the CIA actually wanted to ”shut Assange up,” they would abduct him and extradite him to one of the CIA ”black sites” around the world and then proceed to beat him up, which is a legal practice under the Obama Administration, but instead the CIA is only issuing impotent and empty requests for Wikileaks to stop while at the same time the US is attempting to pass legislation in the US restricting free speech using the organization as an excuse. Wikileaks and its impaired boss represent a classic form of limited hangout or self-exposure, a kind of lurid striptease in which the front organization releases doctored and pre-selected materials provided by the intelligence agency with the intent of harming, not the CIA, nor the UK, nor the Israelis, but rather such classic CIA enemies’ list figures as Putin, Berlusconi, Karzai, Qaddafi, Rodriguez de Kirchner, etc. In Tunisia, derogatory material about ex-President Ben Ali leaked by Wikileaks has already brought a windfall for Langley in the form of the rare ouster of an entrenched Arab government. Wikileaks: No Serious Derogatory Information about US, UK, Israel It is illuminating that none of Assange’s document dumps have revealed any notable scandals involving Great Britain or Israel. No US public figures have had to resign because of anything Wikileaks has done. No major ongoing covert operation or highly placed agent of influence has been blown. After all these months, there are still no US indictments against Assange, even though we know that a US grand jury will readily indict a ham sandwich if the US Attorney demands it. 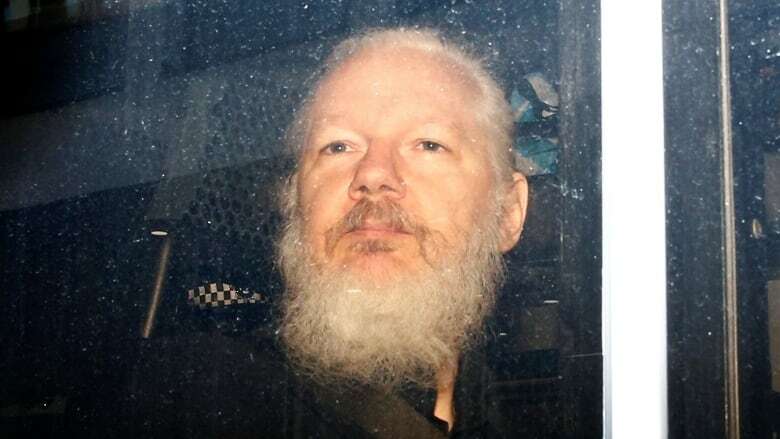 If the CIA had wanted to silence Assange, they could have subjected him to the classic kidnapping aka rendition, meaning that he would have been beaten, drugged, and carted off to wake up in a black site prison in Egypt, Poland, or Guantanamo Bay. Otherwise, the CIA could have had recourse to the usual extralegal wetwork.